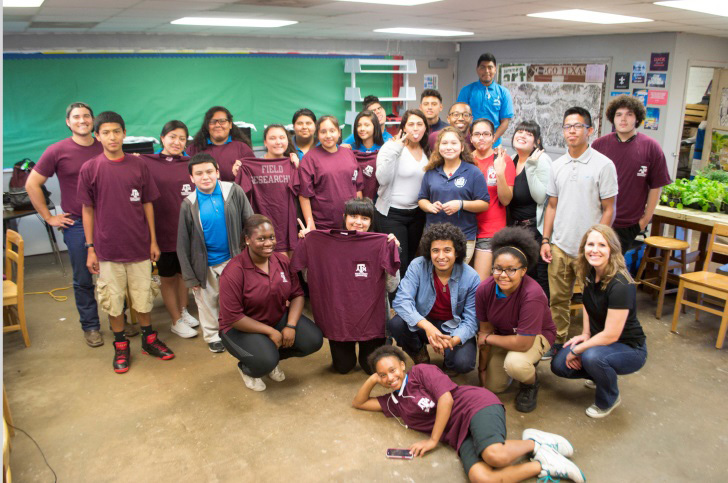 How can we plan and design stronger communities? From New Orleans to Galveston to the Jersey Shore, communities struck by natural disasters struggle to recover long after the first responders have left. Globally, the average annual number of natural disasters has more than doubled since 1980. These catastrophes are increasing in number as well as in magnitude, causing greater damage as we experience rising sea levels and other effects of climate change. Communities can reduce their vulnerability to disaster by becoming more resilient—to not only bounce back more readily from disasters but to grow stronger, more socially cohesive, and more environmentally responsible. To be truly resilient, disaster preparation and response must consider all populations in the community. By bringing together natural hazards planning and community planning to consider vulnerabilities, more resilient and equitable communities are achievable. In Planning for Community Resilience the authors describe an inclusive process for creating disaster-resilient communities. Based on their recovery work after Hurricane Ike in Galveston, Texas, they developed a process that relies on the Disaster Impacts Model. This handbook guides any community through the process of determining their level of hazard exposure, physical vulnerability, and social vulnerability with the goal of determining the best planning strategy. Planning for Community Resilience will be invaluable to professionals working to protect their community from disturbance, including city planners, elected officials, floodplain managers, natural hazard managers, planning commissioners, local business leaders, and citizen organizers. "Exceptionally systematic in thought, clear in language, and energetic in research and implementation, this book will be a much-thumbed resource for anyone involved in dealing with disasters and the prospect of them." 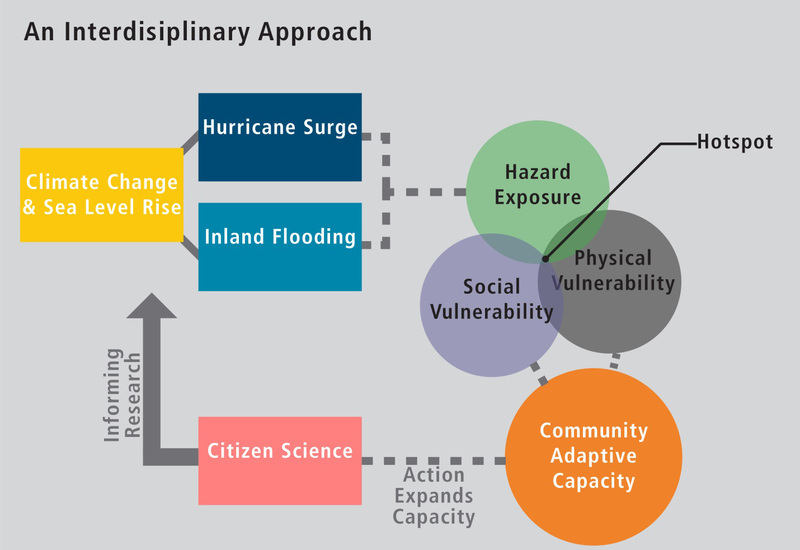 "Planning for Community Resilience makes it abundantly clear that we must begin to add more focus on mitigation when planning for natural disasters and hazards." 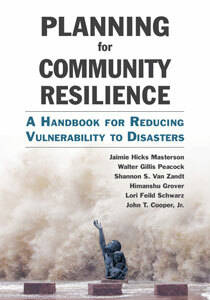 "As the United States continues to recover from various natural disasters--destructuve storms, earthquakes, and fires among them--the authors suggest that the time to respond to those disasters is before they happen, by addressing vulnerabilities in our communities." "A how-to guide for community-level disaster plans [that is] much needed in the disaster management field." "A useful and comprehensive starting point for community dialogues about hazards and sisasters...[the book] strikes a great balance between clear language and concrete technical guidance, making the advice both accessible and useful." "Planning for Community Resilience provides needed emphasis on the crucial role of social and economic attributes in hazard resiliency. Through simple directions and illustrations, the authors demonstrate how to integrate relevant Census indicators into community mapping to identify and address pockets of social vulnerability." "This book fills a significant void in the literature by bridging research and practice, while offering practical lessons for communities striving to become more resilient." "Planning for Community Resilience: A Handbook for Reducing Disasters is a comprehensive book, which is quite an achievement in less than 200 pages. The book begins with a compelling explanation of the emerging threat, pulling no punches with the introductory chapter: 'The Era of Catastrophes.' It then outlines an overall approach to resilience preparedness, a seven-step process that forms the structure of the book… the authors have done an impressive job of assembling a great deal of material from different disciplines. It is rare to come across planners presenting a handbook that also talks about issues of power and participation, critical—but often overlooked—elements of community engagement and action." Chapter 2: What is Resilience? Jaimie Hicks Masterson is Program Coordinator of Texas Target Communities at Texas A&M University and coauthor of Planning for Community Resilience.